Having been on Twitter, I've seen how he has maintained a good relationship between North America and South America. Brazil and Venezuela have proudly proclaimed their love for the pop sensation. Now more than ever it important to keep the lines of communication open between us and other nations. And what better way than through music. That voice, those eyes... He can dance into you heart or whisper hope into your soul with his lips; and lest we forget, that hair. I guess Satan has no age limit on who can sell their soul. 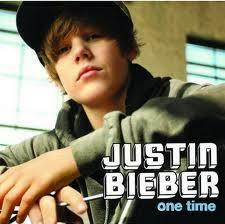 This little kid belongs on the Naughty list after brainwashing young girls into beliebing he has talent. In the video with the hanging heart, he plays guitar while hovering over the audience. Truth is he can't play guitar, he can barely play with himself. So until he hits puberty he, should enjoy this. Cause once he does, well... You're looking at the next Danny Bonaduce. I think when future generations look back on this time period they will undoubtedly proclaim Pattinson to be one of the most important figures. Not only does he demonstrate what bad acting is, but he's also outlined how not to play a vampire, how not to play music and how to look like Frankenstein's monster and still be loved by millions of teen girls. Such a historical figure is surely worthy of the nice list. I Know he says he won't bite but can you trust him? I know what you're thinking; it's just a movie, he's an actor, and it's not real. If you were a bloodsucking vampire, isn't that what you'd want people to believe? Team Edward? Try Team Nasty. The first time I saw Robert Pattinson, he was saving Harry Potter’s bacon. If it wasn’t for him, Harry never would have taken a bath with an egg. And anyone who has bathed with eggs, knows what a gift that was. Then the next time I saw Robert, he was fighting his vampire urge to bite Bella. Now, I know a bunch of people who would be more than happy to bite Bella to death, so for Robert’s impressive restraint, he deserves to be on the Nice List. Real heroes are hard to come by in this world. Sure there are fire fighters and police officers, but now you can point to your children and tell them that these brave men are a testiment to the strength of the human spirit. These men survived being in a hole. Not everyone could do it and if anyone deserves a good Christmas this year, it's them. Nice all the way. These so called heroes sat in a hole, sweaty and naked, with no wives around. They ate the best catered meals, watched all the TV they wanted, and did things with each other that only those in the brotherhood would understand. These guys are no heroes, they're the Masons. What a bunch of bastards. Once, when I was working on a video shoot, I got locked in a broom closet for 4 hours. Nobody called me a hero. All I got... was laughed at. These dudes aren't heroes. They're just dudes who had an on-the-job accident. Boo hoo. Naughty list. He's got possibly the biggest heart of any director in the business today. After Avatar stopped showing in theaters the first time, many people became depressed that they couldn't revisit that world. These people were so down that they talked of killing themselves. What did James Cameron do? He put an extra 8 minutes in the film and re released it for these poor souls. Kudos to you sir, for caring. You did The Terminator, Titanic, and Avatar, so it should come as no surprise that on the day of the birth of my lord, the man who busted open tombs, trying to disprove Jesus Christ, would end up on this list. So Mr. Cameron, Mel Gibson's bookend, You are on the naughty list. Direct your way out of that, you hack. Avatar may have made a bazillion and one dollars, but seriously James, did you have to rip off Fern Gully? At least that movie had the decency to be an hour and fifteen minutes and did not cause any suicides. Cameron is on wife number five, and the only actor that seems to be able to work with him more than once is Sigourney Weaver. James Cameron has earned many awards, but he has also earned a spot on the Naughty List! I've always said she looks like a poodle, and that has got to bring joy to many dog lovers in the country. Oh and she lives on the same lake as I do, and it's a really nice lake. I could say so much about you that people don't know. The truth would scare people. If I said too much though, you might write a song about me or, like our former neighbor Mitch Hugly, I might disappear too. Yes Tay, I know what you did last summer. Oh God... I know! Innocent Taylor Swift, an All-American sweetheart, a victim of Kanye West, and a Grammy Award winner. She must be on the nice list, right? Well, on the other hand, Swift straddles the line between country music and pop music so well that even when I accidentally switch to the country music radio station, hear Taylor Swift, shudder and change the channel, there is a very good chance there are a number of other stations playing her music as well. Any person that increases the likelihood of me having to endure the horrific sound and awful lyrics of country music is most definitely on the Naughty List. Shame on you Taylor Swift. This is all Christmas related and I would be remiss to not include someone on the nice list who gave himself the nickname "Fat Jesus". So Mr. funny man, you don't want Mel Gibson in your next movie because he acts crazy, says offensive things, and wants to kill people? Well I would like to quote Mel when he said, "#&$! @&$*##, @*$&*#. So there. Naughty. How is this even debatable? Have you seen Out Cold? It's the film equivalent to the first time you have chocolate-chip cookie dough ice cream... pure blissful joy. Zach is a comedy genius. Nice lister all the way. I truly believe with all my heart that Betty White is a murderer. That's something you're not likely to ever hear, is it? Why? Because the only thing that woman has ever killed is performance after performance. She slays us all with wit, and irony. She was on SNL because we wanted it. She is for all intents and purposes, the people's performer. Anything short of the nice list would be a crime. She got high and killed Bea Arthur. Wait, is that grounds for the nice list? Alright, so here's the deal, each day I'm leaving one up to you fine people. Vote for if you think Betty White deserves to be on the Naughty or the Nice list. I will tally the votes before tomorrow's post and announce the results. Put Betty on the naughty list. I watched golden girls because it was funny when I was a kid. I was the subject of ridicule because of it. Betty While and her Golden Girl Ilke caused me emotional trauma! I know I'm supposed to be on a bloggy break - but stopped by anyway because I knew I could count on you for a few laughs! As always - you never disappoint. Naughty! She reminds a lot of that Justin Bieber troll. I don't like having celebs CRAMMED down my throat. Especially when they are not worthy of it. I just want her to go away. Retire already!!! Despite Betty White being 400 years old, she is actually getting funnier. It could be that she's actually dead, and there are comedic CGI geniuses behind it all. Whatever the reason, her name belongs on the nice list, for the simple fact that I'm still entertained by a woman who should have stopped being cool 200 years ago. Betty White is definitely on the Nice list. Especially when unclothed. Betty White totally deserves to be on the Nice list. She's one badass octogenarian. thanks for the mental picture corrupt camel, now you are on the naught list as well. 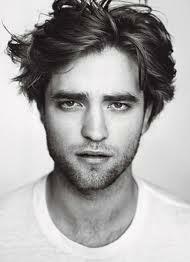 Robert Pattinson hmmm. I think he himself is nice, but his hair is naughty. I never realized he was Cedric D.
this blog post made my day... and my day included being called a whore (at least twice). so thanks for making me smile. and basically your thoughts on beiber, white, pattinson, swift, etc are SOLID GOLD... and god knows i needed something to make me grin! spanks pal. The real heroes in the Chilean Miner massacre were the people at Oakley sunglasses, who worked their knuckles to the bone to provide them with 30 pairs of free sunglasses.